Here’s an excerpt from the Cook Island News about a famed furry friend that has been the highlight of many visitors stay in Muri. CEO and president of the Esther Honey Foundation, Cathy Ragan-Anunsen, says Cookie is clearly a tourist favourite. 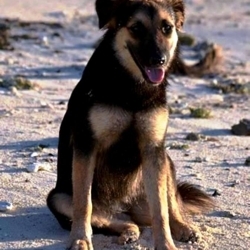 Ragan-Anunsen says Rarotonga dogs like Cookie are often the highlight of a tourist’s Cook Islands holiday. Anyone with any information on Cookie, including who her owner might be, is encouraged to contact Esther Honey at info@estherhoney.org.